Are you just a producer who is committed to proven sales tactics? Do wonder if digital marketing is a waste of time? Hearing from accomplished Digital Practioners can go a long way in helping you make sense of emerging sales realities in Insurance — which is why I am posting 7 Interviews with "Insurance Leaders in the Digital Space" each Monday (Jun 16 - July 28). Has been an Underwriter, a Producer, and Insurance Tech Consultant. Started "Content Marketing" in the mid-90's...before it had a name or anyone had identified it as a strategy. Has been recognized as one of Top 150 LinkedIn "Influencers"
Has contributed to virtually every Insurance Industry Publication. It’s not every day you get to interview someone who has the reputation of being an "early adopter" for 30 years, is a prolific writer and a well-established Insurance Professional. Steve has seen a lot go down over the past 30 years and was willing to share some thoughts with us. I was honored to have this opportunity. I have looked forward to picking the brain of Steve Anderson for quite some time. Steve lives at the intersection of insurance and tech and is trusted guide for thousands. 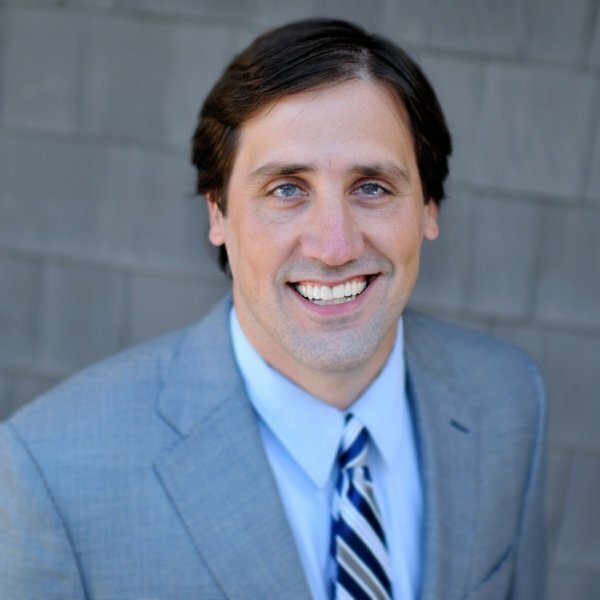 Steve Anderson is an Insurance & Technology expert who is widely recognized as an Thought Leader who is maximizing the digital space. He started "Content Marketing" before it had a name and has perfected it as well as anyone. I also took this opportunity to ask Steve Anderson some things I’ve really been wanting to ask. I hope you enjoy our conversation and that it gives you a solid start or a shot in the arm as you continue to maximize the digital space with your Insurance Agency. His early days of accidental "Content Marketing"
How he manages to get so much done through a singular productivity discipline. “My lifelong passion is learning technology and helping the insurance industry understand how best to use it." "I’ve been around a long time and experienced most of the technology changes over the last 30 years." "I have been fortunate to be surrounded by digitally curious friends." "One of the things I’ve realized early on is that “digital marketing” is simply a variation of traditional marketing that I used in the early 90s to build a commercial book of business. It’s all about people getting to know you, like you, and trust you enough to put their business with you." "I read a lot -- well perhaps more accurately I scan a lot"
"There is no better marketing activity than writing articles that are of interest to your target audience." Duke Revard: Some of our readers aren’t as familiar with your background. Perhaps you could share some shaping experiences that have contributed to you unique perspective in the Insurance Space? Steve Anderson: I started working in the insurance industry a year after I graduated from college. My first job was as an insurance underwriter trainee with Reliance Insurance Company. It was my first introduction to all things insurance. Within a couple of years I began working in an independent insurance agency located in Washington DC that happen to be owned by my father-in-law, so I also got an education in family businesses. It was in this agency that I got my hands on technology for the first time. I was responsible for researching, bringing in, and making work our first in-house agency management system in about 1983. My work with that system, and with the user group and vendor, began what has become my lifelong passion of learning technology and helping the insurance industry understand how best to use it. I left the agency in 1990 and moved to the Dallas-Fort Worth area and began working with agencies that were purchasing and installing agency management systems. I ended up joining a local agency as a producer and began building a book of business. But, fortunately I was able to continue my work on internal operations. For example, the agency began scanning and storing all of our paper files — in 1994. We were among the first agencies to fully embrace an electronic document management process. 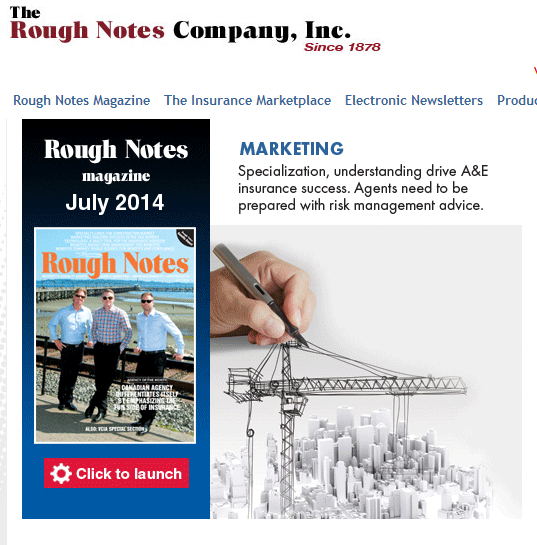 In the mid-90s I was asked to write a regular column in Rough Notes Magazine — my first “content marketing” strategy. I also began teaching classes for the National Alliance. In 1999 I made the decision to start my own business concentrating on helping the insurance industry appropriately embrace technology. So, perhaps my unique perspective on the insurance industry is that I’ve been around a long time and experienced most of the technology changes over the last 30 years. 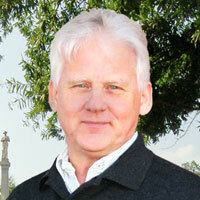 Steve Anderson: I registered my first website – SteveAnderson.com – in July 1998. This site remains my primary home base. I also currently own over 55 different domains. I began experimenting very early with how to maximize the use of the Internet and various online channels. 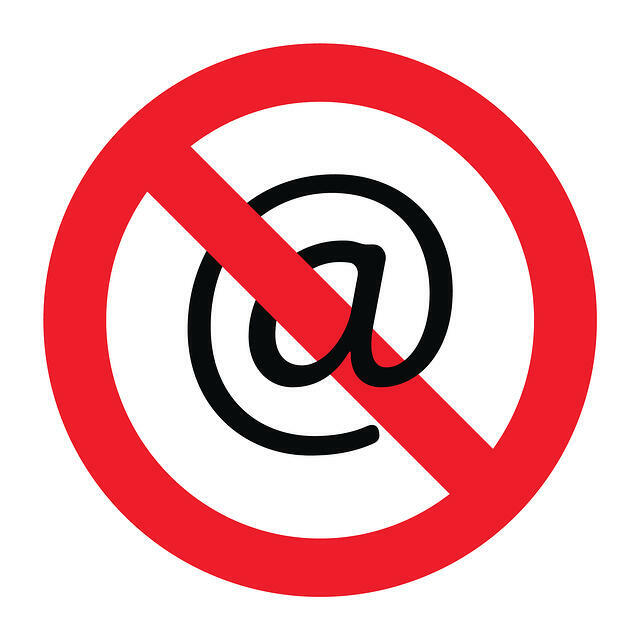 I still remember in the early 2000’s doing 20 different meetings for a national insurance company telling their agents why they need to pay attention to the Internet. I have been fortunate to be surrounded by digitally curious friends. Sitting on my front porch after dinner with some friends we began talking about Twitter. It didn’t sound like it would be anything worth spending time on, but we all decided to signed up for an account that night. That was May 2008. And that has been my pattern as I’ve explored all of the various digital marketing channels and options available. First, examine the platform, commit to testing for at least 30 days to see how it works, and then decide if it’s valuable enough to continue using. One of the things I’ve realized early on is that “digital marketing” is simply a variation of traditional marketing that I used in the early 90s to build a commercial book of business. It’s all about people getting to know you, like you, and trust you enough to put their business with you. Using a balanced approach to marketing allows you to maximize whatever tool is available to accomplish these goals. Today, online options provide a unique opportunity to build new relationships with people you may not have seen face to face. Duke Revard: What disciplines do you have in place to ensure you are customer-centric; that you have the pulse on what your potential clients and clients really believe and care about? Steve Anderson: There are some disciplines I practice that help me keep the pulse on what insurance agents are thinking and what they’re struggling with as well as what’s working. Perhaps the most important is that I have cultivated the opportunity to speak to a lot of insurance agents across the country. My topics are wide ranging and obviously change over time as new technologies and/or processes come into play. Being able to talk with agents hear about what they are doing, what they are experimenting with, what their successes have been, and what’s not working well for them, helps me better understand what’s actually working and what’s not. Another discipline is reading. I read a lot -- well perhaps more accurately I scan a lot -- from all sorts of different sources including email newsletters, magazines, website articles, books, and just about anything else that I can find that will help me better understand emerging technology tools, processes, and ideas. I have gotten pretty good at being able to pick out important information within an article and help others understand the implications to their insurance business. Duke Revard: You seem to be every where. Speaking everywhere. Posting great content everywhere. How do you manage to do all that you do? Steve Anderson: This is actually a question I get quite often. Perhaps the best answer is that I continue to cultivate a discipline of productivity. I work hard at maximizing my time. For example, I generally don’t open my email until late morning. The first couple hours of the day are blocked on my calendar so I can concentrate on working on the most important project for me to complete that day. Being asked to write a column in Rough Notes Magazine taught me the importance of being able to put thoughts and ideas into written form. There is no better marketing activity than writing articles that are of interest to your target audience. In my case that target audience is the insurance industry. Duke Revard: When you’re not selling insurance, how do you keep yourself busy? Steve Anderson: My hobby is cooking. And, it is a hobby my wife completely supports! Actually, both Karen and I have enjoyed entertaining for quite some time. Over the years I’ve continue to develop my cooking skills. And, I always bring technology even into the kitchen. One of my favorite cooking techniques currently is Sous Vide Cooking. 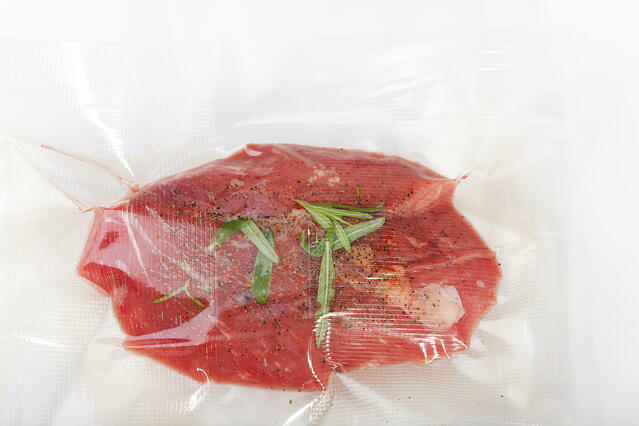 This is a technique where you vacuum seal protein -- often beef -- with some spices and cook it in a temperature controlled water bath for a long period of time. I actually purchased a sous vide cooker – a Nomiku -- from a Kickstarter project. For example, I have cooked a flank steak at 132° for 48 hours. The state comes out as tender as a tenderloin with the flavor of a flank. It’s actually quite good. Read a complete break-down of Steve's Memorial Day Sous Vide Pork Ribs process here). I also am just starting to get into road cycling. I have a goal of competing (well, at least finishing) a sprint triathlon next May. This sprint triathlon will be a 200 yard swim, a 10 mile bike ride, and a 2 mile run. I’ll let you know how I do! Duke Revard: How do you sum up your overall digital marketing philosophy? Steve Anderson: Key to digital marketing success in the insurance industry is having a balanced approach to marketing activities. Many of the traditional marketing principles continue to apply in the digital space. Yes, there are new platforms and new techniques but the goal is the same — to connect with people and build a relationship so they trust you enough to protect their financial future. Every insurance salesperson should have their own personal website. [LinkedIn article: HERE]. 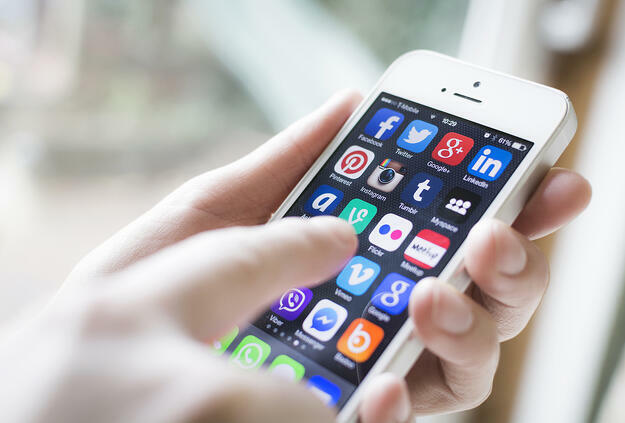 Insurance agencies should be active on various social platforms. But, they should not rely exclusively on any external platform they don’t own. Your presence on other platforms should always point to the individual’s website, or the agency website.